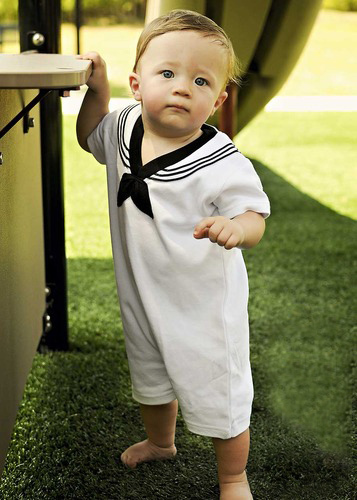 This sweet little white shortall is made in sailor uniform style of softest cotton knit. 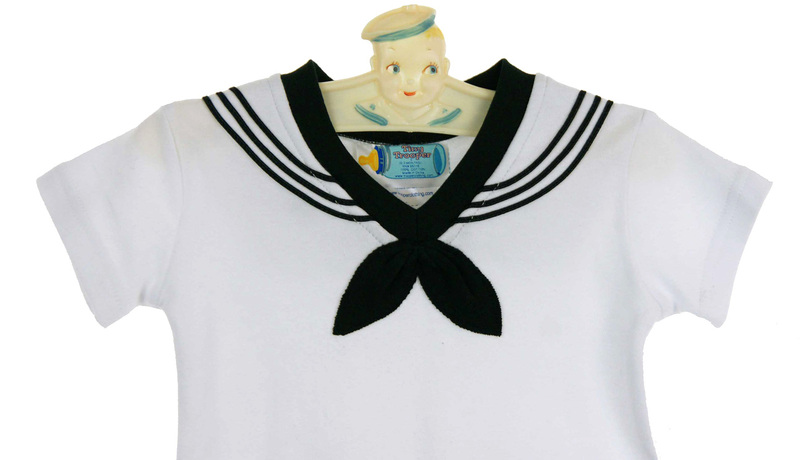 It features black knit trim at the neckline and crotch snaps with a triple row of black braid accenting the faux sailor collar. 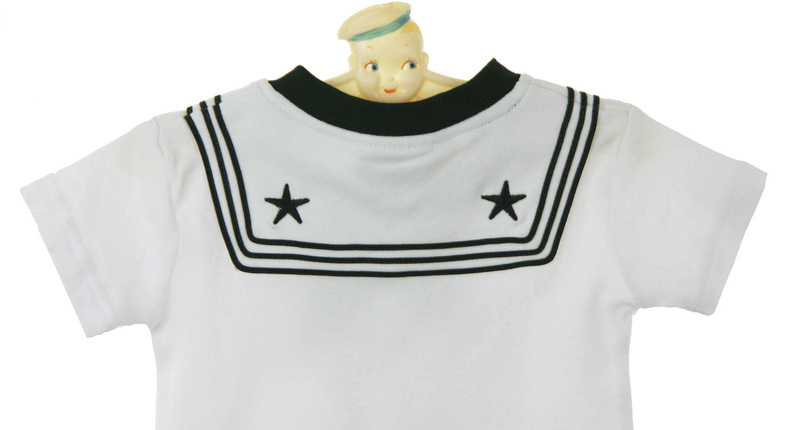 The back has embroidered black stars on the mock sailor collar. 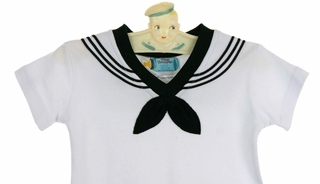 It even has an appliqued black neckerchief. 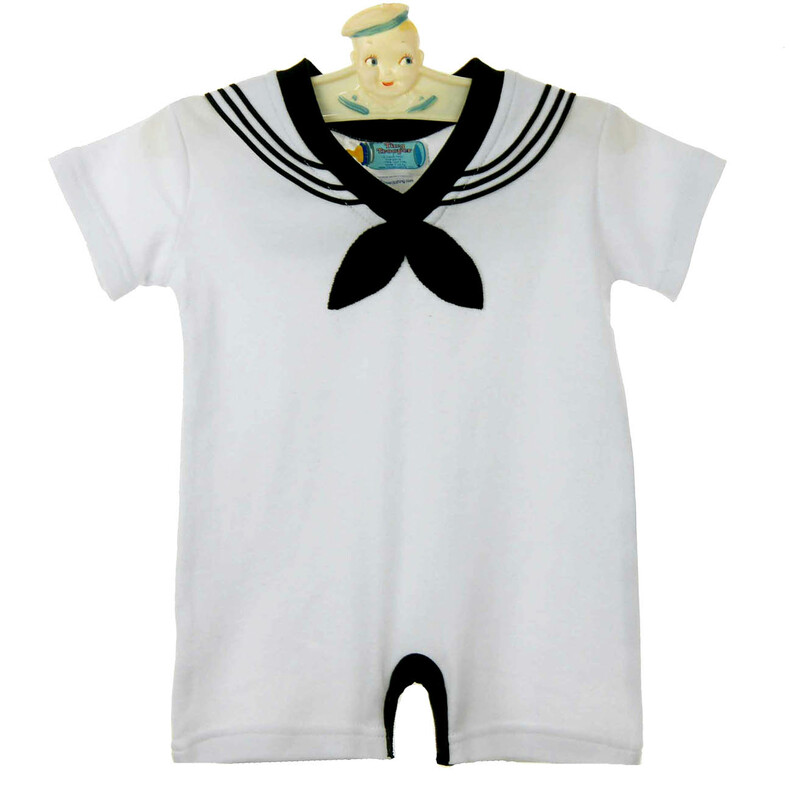 The cutest little sailor outfit for your sailor baby! Note: This darling little outfit is also available in black. Similar romper is also available. See below.